Submissions are now CLOSED and our winners have been announced! You can see this year’s images here. We strive to make this contest affordable and accessible to all. Birth photographers can submit between 1-5 images (in whatever category they prefer). Our judges come from a wide variety of backgrounds but all share this in common: they are trailblazers in both the birth and photography communities. Each image submitted will be judged on technical skill, creativity, emotional impact, and editing. While we may only be able to offer cash prizes to the winners of each category and the overall contest, Birth Becomes Her strives to find ways to honor and support each participant. We’re working with publications to share a wide variety of submitted work (not just our winners) and we’ll be featuring birth images from the contest on our social media platforms. We also believe that these images have a huge impact on birth culture, and we’re excited to see the change that your work brings to the world! Motherboard Birth and Amy from Mandala Journey has offered to sponsor the People’s Choice Winner, who will receive a Gold Membership to Motherboard as well as a digital art piece of the winning piece compliments of Amy Haderer of Mandala Journey. We are also thrilled to be opening submissions for Birth Photographer of the Year in addition to our regular contest. Birth Photographers will have the opportunity to submit a portfolio of images and an artist’s statement for judging and feedback. This component of the contest will launch later in Spring of 2019. Lacey Barratt is an accredited member of the Australian Institute of Professional Photography (AIPP), a part of the International Association of Professional Birth Photographers, Birth Photographers Australia, and Public Breastfeeding Awareness Project. More recently, she has started her own campaign #humansuncensored to help desexualise human bodies, men and women alike. Hannah is a London based birth photographer, doula and mother of three. Currently known as the leading birth photographer in the UK she has had her work published nationally and internationally and continues to work on building the birth photography industry within the UK. She is passionate about women's rights in birth and story telling through her imagery. My name is Rebecca and I am a birth and documentary photographer living in California.I am also a mother and a doula. When I was little I dreamed of being able to craft tales about the way I saw the world around me; of illustrating lives, and etching words into stone. Today, my life is sculpted by this dream, made full by both the mother and the photographer in me. I now live in Los Angeles with my merry brood, exploring the mountains of the human heart. I'm a wife, mom, activist, brand designer, children's book author and illustrator, and birth photographer and videographer located in Tampa, Florida. I started my photography journey late 2010, shot my first birth in the spring of 2011 and am passionate about all things birth. I'm an activist in the birth community and founder of The Melanated Birth a community dedicated to the representation of families of color in birth. I’m Tavia, and I serve OKC moms who crave beautiful images of their babies so they never forget any detail about the day they were born, or how perfectly tiny they were in those first days of life. I make sure mom looks beautiful in her studio newborn photos, while enticing the older sibling to cooperate for photos. I sprinkle in my #birthninja skills so she forgets I’m even in the same room with her during delivery & she doesn’t miss out on experiencing these moments because she is busy trying to take a photo. Katie Vigos is the founder of Empowered Birth Project, an online initiative to remind birthing people of their power and share education and inspiration. She started the platform on Instagram in 2014, and in 2018 successfully petitioned Facebook and Instagram to allow uncensored birth content on their platforms. A registered nurse by profession, Katie lives in Los Angeles, California, where she and her husband are raising their three sons. Kirsten is a family photojournalist based in Denver, Colorado, however her work brings her all over the world. 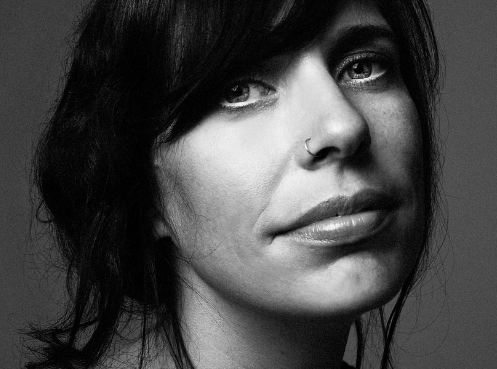 Despite the many accomplishments, including being regularly featured on the Huffington Post, interviews around the world and listed as one of the top 100 photographers on Fearless Photographers, it is her role as a mother and wife to her daughter, Byrdie Mae, and husband, street photographer Gregory Bethmann, that brings her the most pride and joy. Annette Wilson has been Midwifery Today’s Art Director since Midwifery Today magazine Issue 105. She has degrees in graphic design, natural resources management, and English, and loves using her design skills for meaningful work that she’s passionate about, including birth, social justice, and environmental education. Annette got into design through photography, and working with birth photographers has been an enjoyable part of her job. She lives in beautiful Oregon with her daughter. Bryn Huntpalmer is a mother of three children living in Austin, Texas, where she hosts The Birth Hour, an iTunes top-rated podcast with over 5 million downloads to date. The Birth Hour recently launched its first online course that prepares couples for everything from childbirth through newborn care. Phylicia Sadsarin is a beauty + lifestyle content creator at askpRoy.com, an inspirational website that covers an array of beauty and lifestyle related topics with a strong focus in natural hairstyling and care. She has been featured on websites such as Huffington Post, Popsugar, The Bump, and Yahoo! as a breastfeeding advocate for Black women. In her free time, she adores spending time with her husband and baby girl, traveling the world, and loving on her pups. She currently resides in Denver, CO.
Amy is the CEO and Founder of Motherboard Birth, an online parent education platform providing interactive software that helps parents communicate their birth wishes with their care team. Amy has been a doula for 10 years serving hundreds of families in the Denver area. She is also a fine artist and has been creating birth art for the past 8 years and lives in Denver, CO with her six kids and amazing husband Paul. Amy has generously donated to the winning image prizes by offering memberships to Motherboard birth to the second place winners, as well as the People’s Choice winner. Amy, an artist, has also donated a digital art piece of the winning People’s Choice Image. Hello! I am a Mexican born, Chicago residing photographer. I have been married to the love of my life for 5 years now, and we have 2 beautiful children together. I love all things caffeine and chocolate. I am a self-taught, natural light photographer. Monet Nicole began her journey into the birth world over five years ago. She’s photographed and filmed over 300 birth stories. She is wife to Ryan and mother to three vivacious girls, Lucy, Eliza, and Dorothy. She believes that birth is one of the most transformative and transcendent experiences in our world. She’s honored to capture these stories. Jennifer Mason is the Co-Founder of Birth Becomes Her and birth photographer at Jennifer Mason Photography. Jennifer is a doula and birth worker. She has photographed nearly 100 births and has made lifelong connections with the mothers she works with. Jenn is a native of the Midwest and just moved back to Michigan after living in Colorado for over a decade. She is the mother of two sweet girls, Magnolia and Clementine, and wife to Josh. Alegra Ally is an anthropologist and award-winning explorer and photographer, best known for her in-depth work focusing on indigenous women. Anthropologist and award-winning explorer and photographer, whose work has focused worldwide on indigenous cultures. Founder @wildbornproject and a member of the Explorers Club F&H committee. Hey, my name is Lukas. I am not a photographer. I am a narrator. Telling your story through my eyes and my camera. Capturing moments and creating memories is what I do, what I live and breathe. I want to be part of your journey and document it in the purest form. Let me be your companion, so we can create something unique and beautiful. I love to travel the world, no matter where you are from. Last year we had 966 photos submitted from over 30 countries around the world. The images were published more than 50 times, in publications that reached across the globe. A few publications are: Babyverden, Univision, Health, My Modern Met, Pop Sugar, Bored Panda, Cosmopolitan, Today and many more! Please read through all directions below before attempting to purchase and submit your images. If directions are not followed, your images may be automatically disqualified. You must obtain appropriate permission from your client to share their image in our contest. Birth Becomes Her will share both winning and non-winning images in our media kit and on our social media platforms. By submitting to the 2019 BBH Image Contest, you agree to your image being shared. If your images do not meet any of these requirements, they may be automatically disqualified. 1 Between January 14th and January 20th, you may purchase your image submission here. Please use the same first and last name throughout the entire purchase/submission process. 2 Once purchased, a PDF containing upload instructions will be available for download in the Order Confirmation page. You will also receive an email that contains the PDF. 3 Follow the submission link included in the PDF. Upload your submissions AND fill out the submission form. 4 You will receive a submission confirmation email from dropbox. The contest will go live on January 21/22nd. Winners will be announced end of January/early February. Please email us at birthbecomesher@gmail.com with subject line - CONTEST HELP. We will respond to these emails within 24 hours. Please do not message us via Facebook and do not send multiple emails within the 24 hour response period. Congratulations to our honored first place finishers! Read more about what images to submit and feel more confident in your image submissions before entering.